I keep mentioning all of these rooms in my house that are almost finished and that I want to complete by the end of the year, but what’s really left do to? What projects need to be completed and what needs to be bought in order to call each room done? I thought it might be motivating for me to see those lists and see how close some rooms really are to being complete. I thought it also might be interesting for you to see the current status of rooms I haven’t shared in a while and to see the plan going forward. I’m starting in the laundry room because I think this is the room that has the least amount of work left to do (and hopefully will be the cheapest to complete). 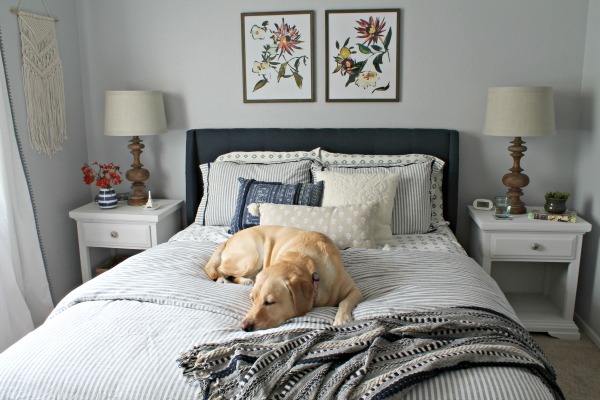 You might remember that I started this room a couple years ago during the One Room Challenge (see the full reveal here). I haven’t done anything in there since the challenge. OK, let’s talk plans. 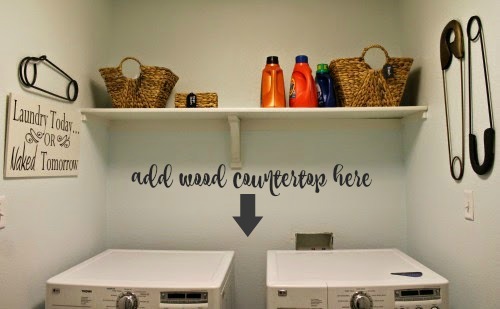 The biggest thing left to do is to add a countertop across the washer and dryer. Right now I’m planning to buy a butcher block countertop from IKEA, so other than figuring out how to mount the counter, this only requires a trip to IKEA. I also need to caulk some of the seams around the shelf and bracket. It’ll just make everything look more finished. Other than that, I just need to find a rug and a few more accessories for this room to be complete. I’m SO close! Hopefully this will give me the push to finally finish this room! I feel the same way...so many rooms that are half-done. I'm really bad about starting something and not finishing it before I move on to another project! 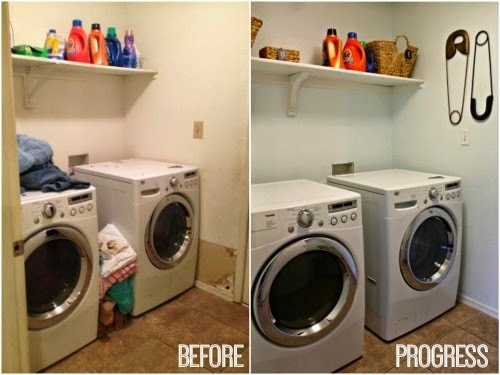 Can't wait to see the laundry room once it's done! I'm the same way! Other than the nursery, I don't have any complete rooms. 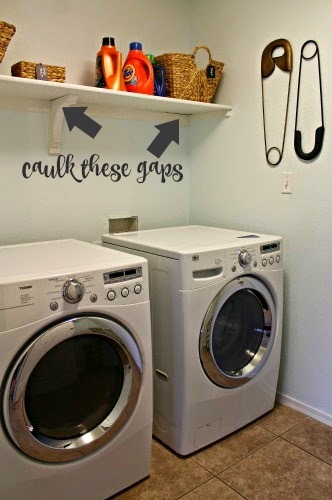 Love how spacious your laundry room is!